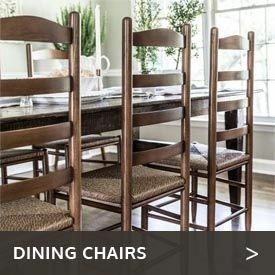 Ultimate relaxation is only a step away with the Rustic Natural Cedar Wood Chair and Loveseat Gliders from Adams All Natural Cedar. 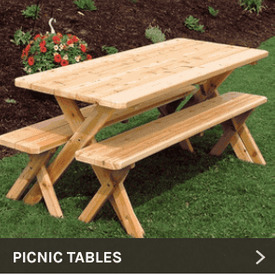 Thanks to their construction of all-natural cedar, these pieces look really relaxing. And they live up to their looks once you get in one. You will feel as if you are gliding on air when you gently move to and fro in one of these amazing gliders. 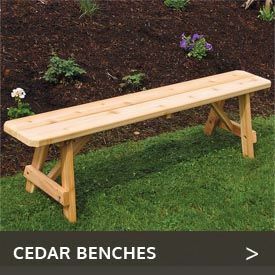 We offer a variety of cedar gliders to suit any space and to accommodate anywhere from one to four people. Glide solo with one of our cedar glider chairs or enjoy this uniquely relaxing experience with up to three friends or family members with one of our double gliders that come complete with canopies to provide cooling shade. We also offer optional mosquito nets for our deluxe double gliders.